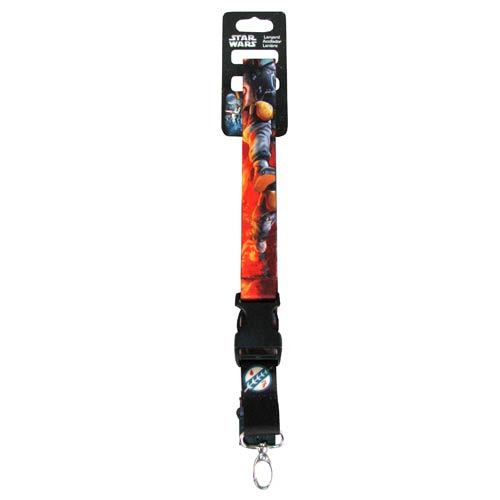 Shopping for Star Wars Lanyards? This fantastic Star Wars Boba Fett Mandalorian Lanyard features a cool graphic design and a detachable key chain, and comes equipped with a safety latch to help prevent a choking hazard. Boba Fett might not want to wear something so ambiguous, but it will work for you! Ages 13 and up.